A digital layout without sensors cannot be run in Automatic Mode by Rocrail. 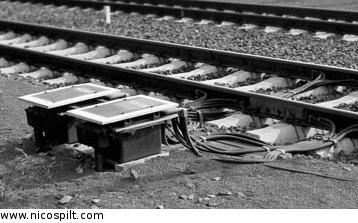 In this case, Rocrail is just another throttle you can use to control the locomotives and turnouts manually. Sensors add a new level of enjoyment to the layout by allowing Rocrail to run trains automatically. Train detection in auto mode. Rocview will show which block a train is in, and which block it is moving to. Electrical occupancy detection. Rocview will show when a sensor is activated by trains or wagons passing through them. BiDi. Rocrail uses the identifier of a locomotive or wagon in a block using techniques like Lissy, Barjut, RailCom and Digitrax Transponding with RX4's. Push-buttons and toggle switches can be used to trigger actions. Short IN Event to stop short trains in the middle of platforms. Run external script or program.